Over 1,700 Russian officials fired for corruption in last 1.5 years | Russian Legal Information Agency (RAPSI). 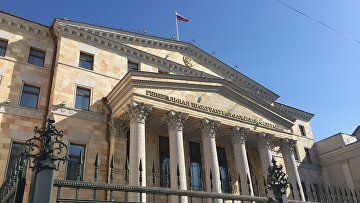 MOSCOW, August 10 (RAPSI) – Over 1,700 officials in Russia were fired in last 1.5 years due to corruption violations, the press-service of the Prosecutor General’s Office told RAPSI on Friday. The press-service noted that about 480 officials were fired in first half of 2018. According to the Prosecutor General’s Office, the policy of firing officials due to the loss of trust caused by corruption violations is an efficient method of counteracting corruption. This method is used when officials cover up information on income, expenses, property as well as failing to deal with conflict of interests, the statement reads. In December 2017, President Vladimir Putin signed law establishing rules for registry of persons fired due to the loss of trust. By August 2018, over 270 persons were included in the registry.